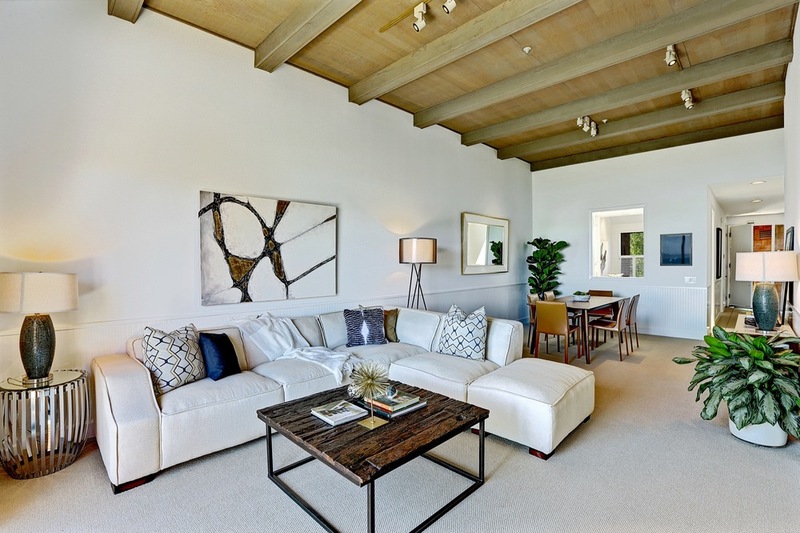 Ideally located at the waters edge of Point Tiburon, this 2BD/2BA top level condominium enjoys incredible views of the San Francisco Bay that stretches from Belvedere to Angel Island, framing the iconic San Francisco skyline. 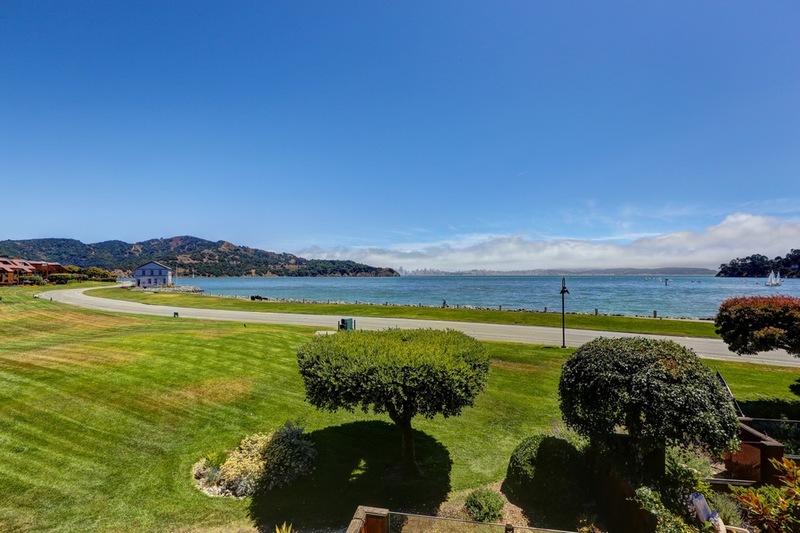 Steps away from the heart of downtown Tiburon, the Tiburon / San Francisco Ferry, and Corinthian and San Francisco Yacht Clubs, you can take a short stroll to waterfront restaurants, cafés, luxury shops and the Tiburon theater. 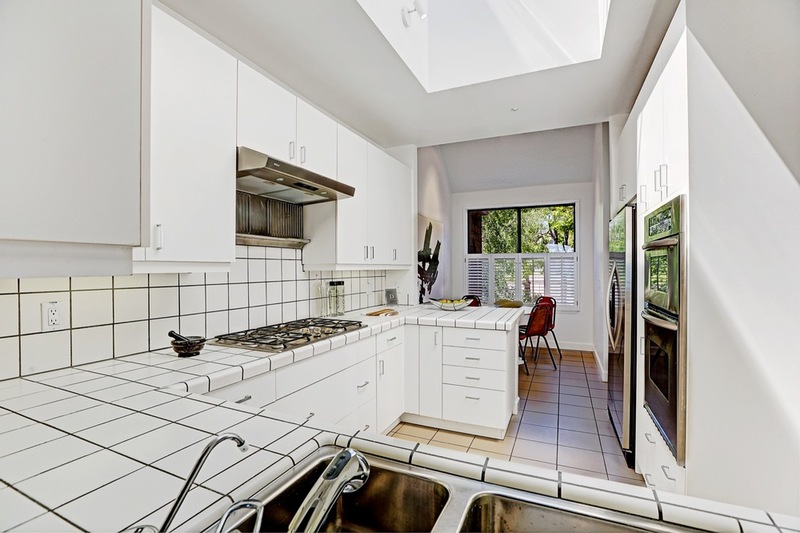 At 114 Paradise, it's easy to fall in love with the lifestyle this home provides. The open living / dining room is the heart of the home. 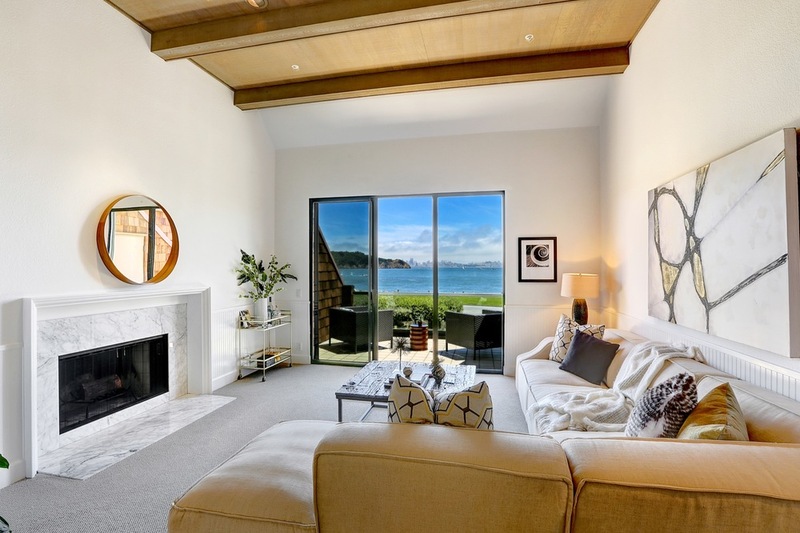 Featuring high ceilings, exposed wooden beams, a built-in Carrera marble fireplace, and double sliding doors that open onto the sun filled terrace with magazine-worthy views of the San Francisco Bay. 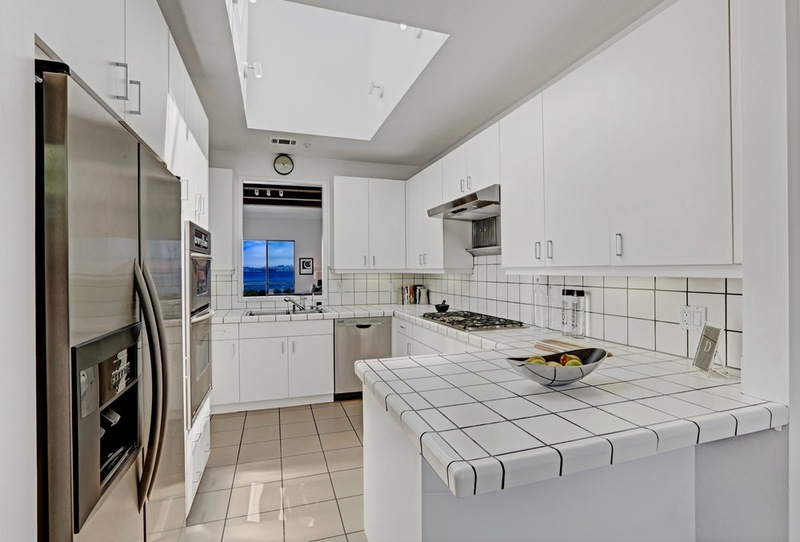 The bright, white kitchen features stainless steel appliances, a charming breakfast nook, countertop seating for more casual dining and a large overhead skylight that fills the room with natural sunlight. The large master suite provides ample space for a king bed and comfortable south facing solarium seating area to soak in the morning sun and incredible views. The updated master bath features dual-sinks, granite countertops, a central vanity, and generous walk in closets with a built-in wardrobe system. 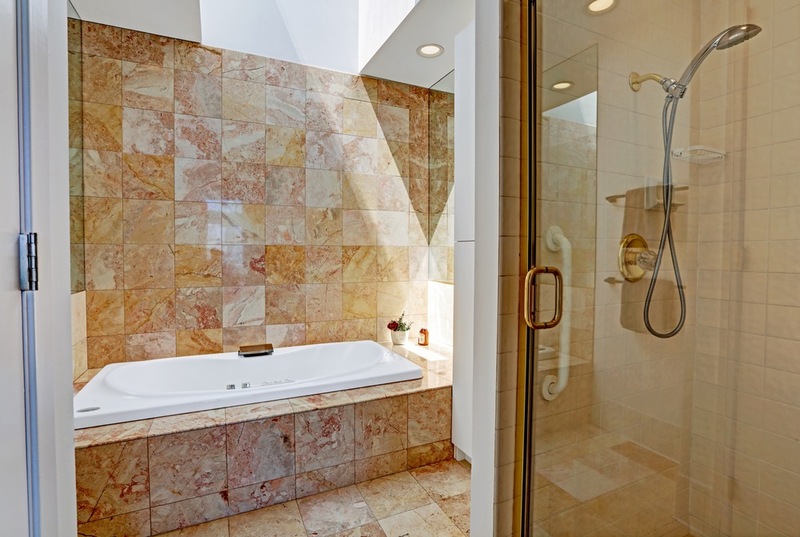 The shower and large jetted tub are separated for privacy with another large overhead skylight that attracts fills the room with light for a spa-like experience. 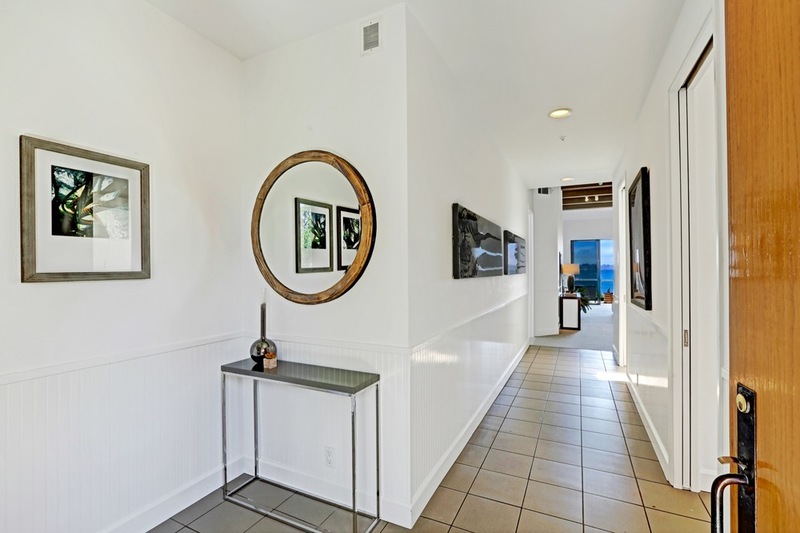 The large second bedroom, guest bathroom and spacious laundry room are to the left of the front entrance, creating the perfect setup for hosting friends and family. 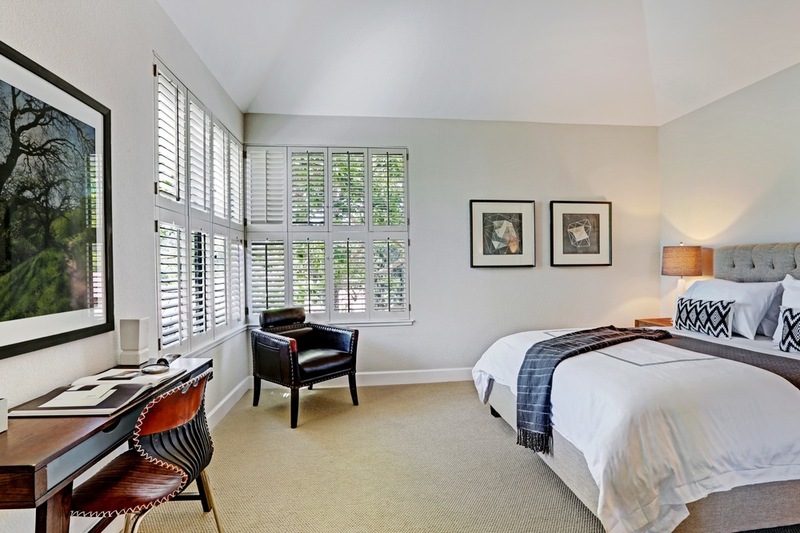 Additional amenities include central heating, plantation shutters, and a private, two-car covered garage. From sunrise to sunset you will never get tired of starting and ending your day with the fresh bay breeze and breathtaking views at 114 Paradise.